​This a movie review of THE REVENANT. The innovative film is rare (recent examples: THE TRIBE, WHIPLASH, CALVARY), but the hunger for cinematic creativity can also be sated when a fresh spin is given to what has come before. To build on artistic/genre history is surely the holy grail for the devoted fan of the silver screen. 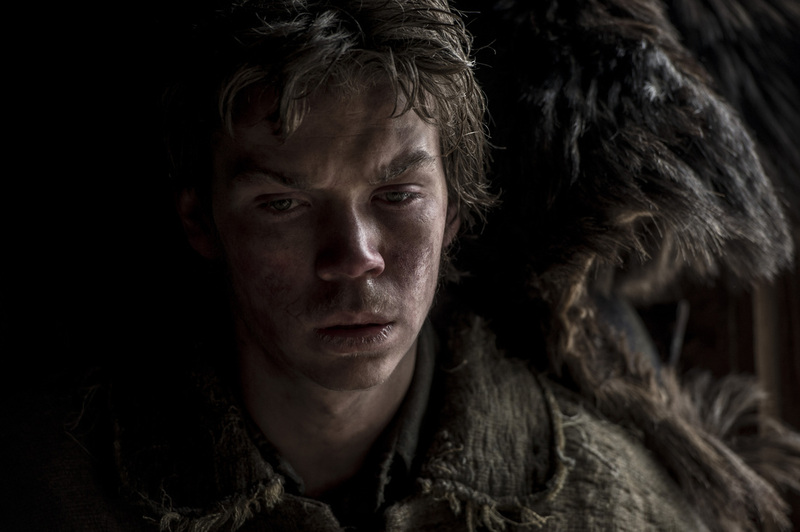 THE REVENANT comes along and grabs you by the lapels, looks you square in the eye, before punching you in the stomach, and somehow leaves you with an ecstatic smile across your face. 2015 has had two other examples of filmmaking doing that: VICTORIA and MAD MAX: FURY ROAD. Soldiers torching the homes shatter the village peace. The scene will be returned to on several occasions, going to explain the myopia and haunted look of Glass (Leonardo DiCaprio – his Oscar is now due for the committed performance that sears the screen). Like DANCES WITH WOLVES, Glass is a Caucasian living contentedly among the indigenous. Glass also is married to a Native American woman (Grace Dove), and has a son, Hawk (Forrest Goodluck), by her. Home destroyed, clan wiped out, wife murdered, son scarred by the fire, on the run for killing an officer, a decade on, the 1820s, the frontier, all that matters to Glass is Hawk. That focus will come to drive the main plot. Post title, Glass and Hawk stalk an elk, reminding of the opening to THE LAST OF THE MOHICANS. Each share a thematic DNA, a look at: Imperialism, genocide and revenge. 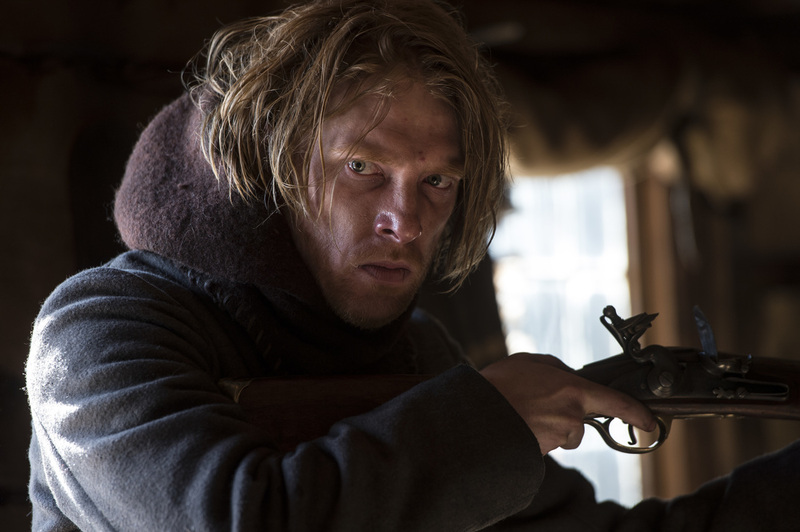 Glass is an explorer and has been hired to navigate a fur trapping commercial enterprise, led by Andrew Henry (Domhnall Gleeson). Straight away the trappers are besieged by an Arikaree (a.k.a. Ree) tribe reeking havoc. The combat is jaw-dropping, epitomising the action sequences throughout the (never dull) 156 minute runtime: Brutal, grand, credible and mesmerizingly choreographed. The camera roves, ducks and weaves as death and maiming are presented in endless variation. Long takes (or short shots seamlessly digitally stitched together) show that director Alejandro González Iñárritu, having already stretched cinematic intricacy in BIRDMAN, has attained even greater expertise. The Ree are assumed to be after the highly valuable furs. However, their leader is searching for his kidnapped daughter, Powaqa (Melaw Nakehk’o), taken by two Caucasians. The subplot will eventually deftly weave into the main narrative thrust, as the Ree cut an unforgiving swathe across the territory. THE REVENANT is almost apocalyptic in the presentation of Darwinian survival of the fittest taken to a nihilistic level. AGUIRRE, WRATH OF GOD for a new generation. Forty-five men dead of the trapping enterprise and 10 left after the escape, the party are forced to bury the pelts as the Ree pursue. John Fitzgerald (Tom Hardy channelling his DARK KNIGHT RISES Bane) does not hold back his frustration and unconcealed bigotry (the history of which is alluded to, depending on your conceptions of cause and effect). “They don’t hear your voice, they just see the colour of your face,” Glass says to Hawk. The following morning out scouting, Glass stumbles across a couple of bear cubs. Dawning comprehension of the imminent danger comes too late as an adult grizzly rushes him. What follows is an agonising display of violence not put to camera before. Monster movies have nothing on a believable scenario of the animal kingdom protecting its own. No edits, no respite, as Glass is savaged to stomach churning effect. The sequence will gouge itself into your mind. Resourcefully surviving, and lacerated to an inch of his life, the party have to separate. 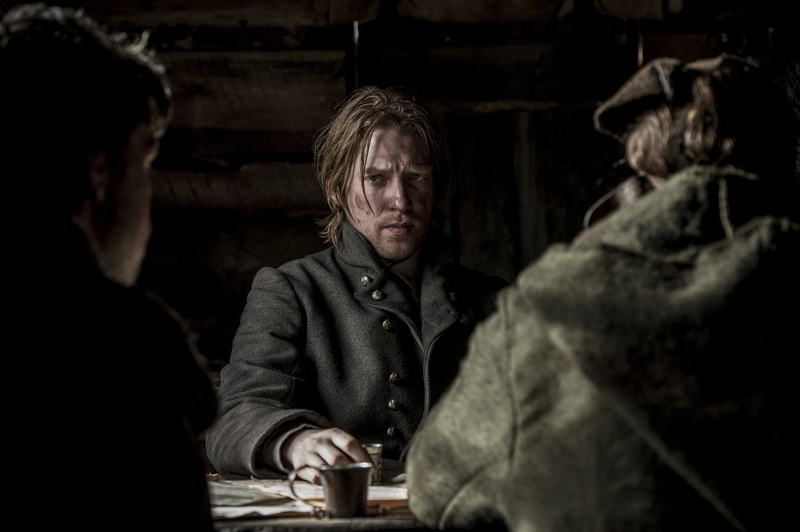 Fitzgerald, Hawk and Jim Bridger (Will Poulter) are to remain until Glass recovers or dies. The turn of events shifts the film on its axis, and propels it a new direction. Leonardo DiCaprio vs Tom Hardy vs nature vs karma. A remarkably realised, ferocious Western.